Our goal at DDC is to be the Installation Team of Choice for all our stakeholders whether they are our employees and contractors, host communities, governments or our shareholders. We strive to achieve this by ensuring that we live by our values of acting with integrity and honesty, seeking high performance in ourselves and others, working together, valuing innovation and problem solving and caring about people. 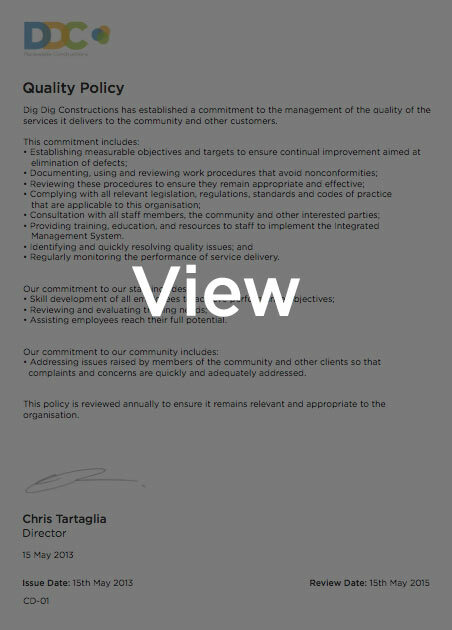 Our policies help us to try and implement best practice and achieve high performance. The following policies, covering the key areas of our business, can be downloaded.